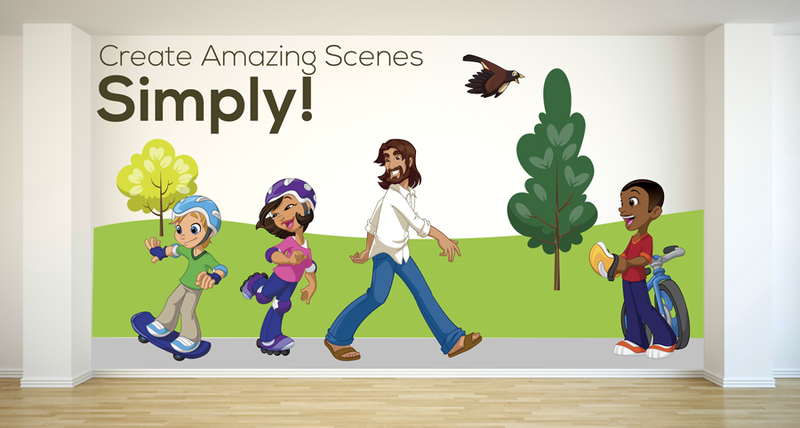 Creative For Kids™ Room Wall Decals are professionally designed and perfect for your Children's Ministry Check-In, Foyer, Hallways, Kids Church Rooms, Classrooms or anywhere you want to create a visually pleasing, high impact area. 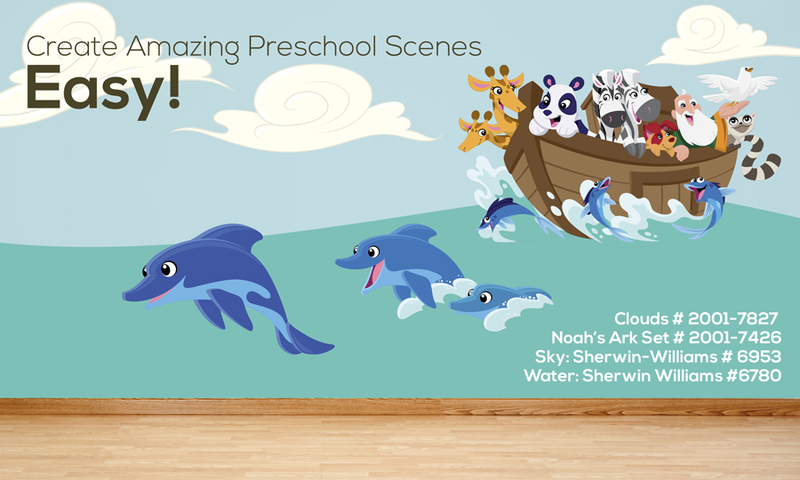 Our kids room wall decals are great for your home or day care too! Creative for Kids room wall decals have an adhesive back which sticks to smooth surfaces such as walls, wood and glass without leaving a residue. 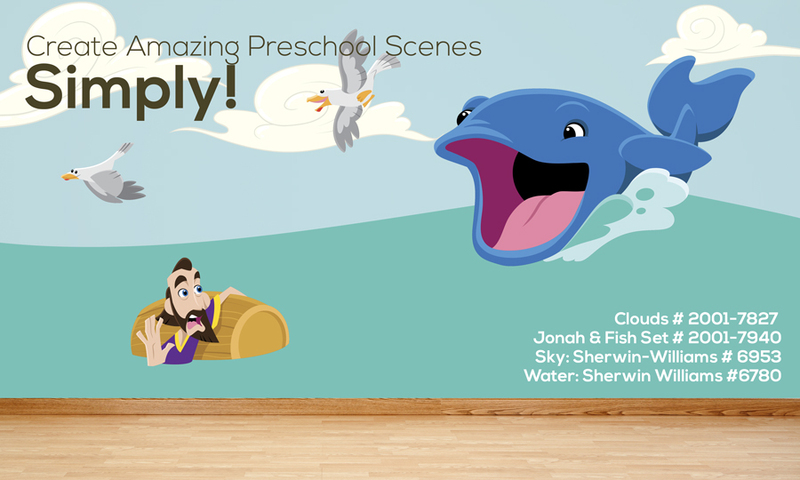 Best of all, Creative for Kids room wall decals are semi-permanent! They will stick as long as you need them to, but are completely removable-so you can reposition and reuse them as your decorating needs change. Creative For Kids wall decals are a superior quality product compared to any vinyl wall decal materials being offered in the market place today.